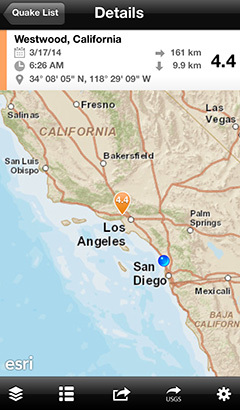 Yesterday there was an M4.4 earthquake in Los Angeles. Although Californians are no strangers to quakes of this magnitude, it was the largest one to strike the city in years. It also served as a reminder of the importance of earthquake preparedness, coming on the heels of the 20th anniversary of the devastating 1994 Northridge Earthquake. In addition to this earthquake, there has been much seismic activity recently around the globe. Northern California, Chile, Peru, Japan, Nicaragua, and Barbados have all seen quakes over magnitude 6.0 during the past 30-days. 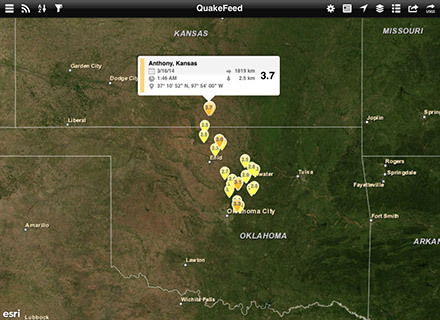 The midwest also continues to experience many earthquakes. There has been a significant increase in seismic activity in states such as Oklahoma and the people who live there are very concerned. Further research is needed to determine whether these earthquakes are man-made, caused by the injection of wastewater in deep disposal wells. We have a high level of engagement with the community of QuakeFeed users. Every day, we receive dozens of emails from people all around the world. Many live in earthquake zones or else have family and friends who do. Some are teachers or emergency management professionals. They express their thanks and offer valuable suggestions on how to make the app even better. And they remind us how fortunate we are to provide a valuable service to people, doing something we love. 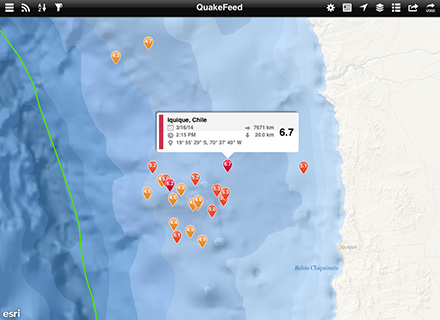 Download QuakeFeed for free, see why we’ve earned 5-stars and rave reviews!